Complete industry training at our facilities in Virginia and Copper Plains Brisbane Queensland (Melbourne Victoria Bacchus Marsh Victoria and North Laverton Victoria) or onsite at your workplace. We train in multiple plant, machinery and high-risk licences for industries such as Warehousing, Commercial & Civil Construction, Mining, Gas & Refinery. Affordable Training is affiliated with Tectra Australia RTO (#40889) and EWPA affiliated. An in-depth industry knowledge makes Affordable Training one of the most sort after and respected industry training organisations in Brisbane Queensland and Melbourne Victoria. "Promoting optimum learning support to reach your full potential." Our Elevated Work Platform Training courses in Brisbane and onsite training at your location Australia Wide, offer comprehensive hands on training with fully Nationally accredited EWPA trainers. 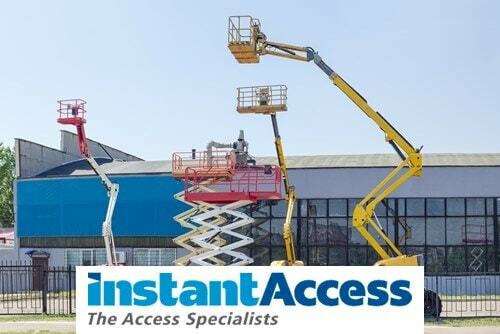 To ensure we training our clients on safe and reliable equipment we have partnered with Instant Access Instant Access, leading provider of access hire equipment. Proud member of the Institute for Learning Professionals (ILP) ensuring ongoing professional development of our trainers and access to exclusive training resources to benefit our trainees. The Elevating Work Platform Association of Australia Incorporated (EWPA) is a vital part of the Elevating Work Platform industry in Australia. Did you know business owners have responsibilities regarding health and safety in the workplace. Check out the "Serious About Safe Business Pack" produced by the Queensland and Victoria Government. © 2017 by Affordable Training.